In 2012, a group of private donors seeking to address this challenge in secondary education formed the Partnership to Strengthen Innovation and Practice in Secondary Education (PSIPSE). Since its inception, the PSIPSE has invested more than $52 million dollars in 59 projects to conduct research on secondary education and pilot, adapt, and scale promising secondary education interventions. Grantees reported providing direct instruction or support to more than 115,000 youth. Their projects reached a large number of girls and young women (almost 45,000) as well as smaller groups of vulnerable youth. More than 60 percent of youth received training in life, transferable, or soft skills, and almost 60 percent received academic support or instruction. In 2016, grantees trained almost 11,000 teachers in active learning methods, use of information and communication technology (ICT) in the classroom, vocational subjects, transferable skills, and entrepreneurship education. Intensity of training varied greatly—from 3 to 195 hours per teacher—as did classroom observations. Grantees are collecting data on their work and using it to tweak implementation. However, few grantees conduct rigorous evaluations, and most cite limited capacity in monitoring, evaluation, and learning as a key constraint. Six grantees facilitated scale-up of their interventions through government. Several others see the potential to do the same, but foresee several barriers, including lack of evidence, high costs, lack of funding, and limited bandwidth of government staff. To better understand the existing evidence on approaches to increasing participation, improving learning, and enhancing the relevance of secondary education in developing countries, Mathematica conducted a literature review that should be of particular interest to implementers and governments seeking effective approaches. Despite the critical role of teachers, there are no rigorous evaluations of programs that provide pre-service or in-service training to teachers or of programs that offer other forms of support to teachers from supervisors or peers. There is evidence on factors that can reduce the gender gap in school enrollment. In Bengal state (India), a quota that required one-third of councilors to be women provided girls with role models and had the side effect of completely erasing the adolescent gender gap in school enrollment, reading, and writing. In Bihar state (also India), providing female students with bicycles to address transportation barriers boosted female enrollment, reducing the gender gap and improving girls’ scores on a state exam. 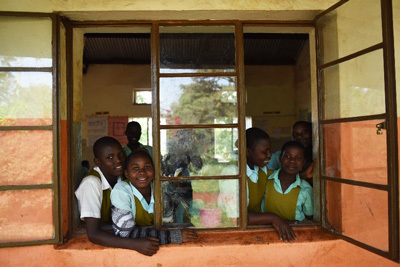 Read more about Mathematica’s work to support the PSIPSE. Photographs, which are courtesy of Jennifer Huxta and Mastercard Foundation, are of activities conducted as part of the PSIPSE-supported STIR Education project in Uganda.